Betty Crocker is a fictional character used in advertising campaigns for food and recipes. It was originally created by the Washburn-Crosby Company in 1921 following a contest in the Saturday Evening Post that required a female response. 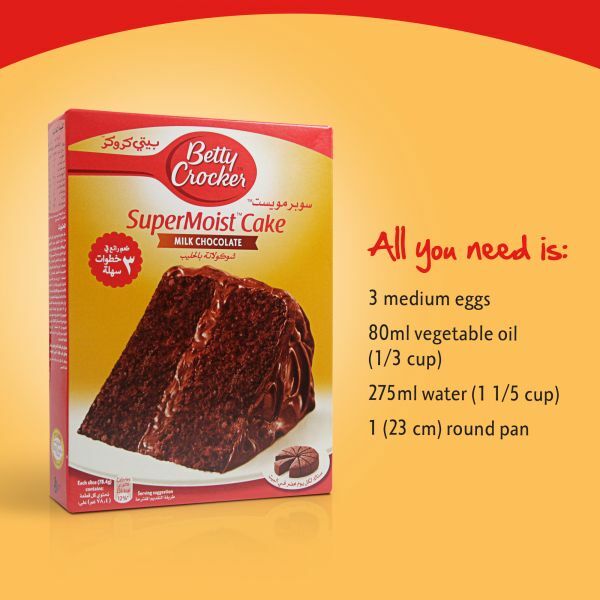 Bake Life Sweeter with Betty Crocker cakes. No matter the occasion, Betty Crocker has the perfect mix. Celebrate birthdays with SuperMoist cakes. Indulge your senses with Decadent Supreme cakes. Or, make either for those “just because” moments. There’s never not a good time to eat cake.